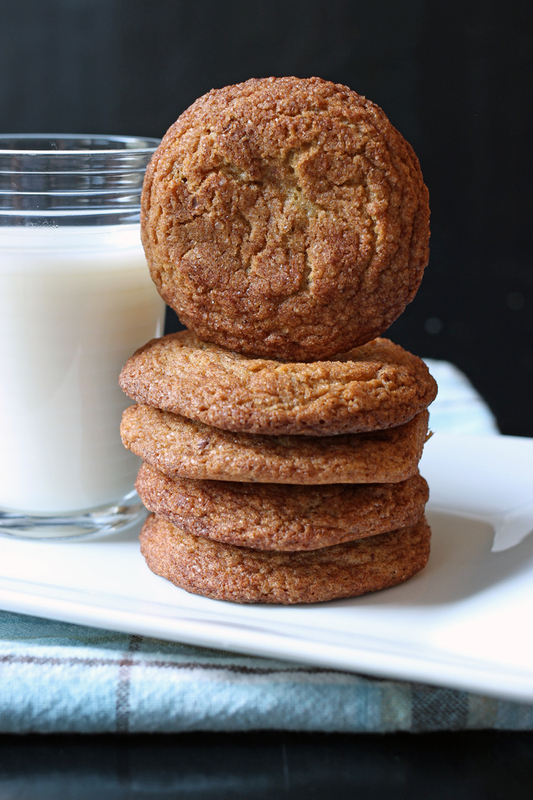 A healthier twist on an old classic, these Whole Wheat Snickerdoodles are delicious! A little whole grains and flax seed meal takes the classic cookie up a notch. These healthy snickerdoodles freeze beautifully so you can have a sweet treat any time the urge strikes. Snickerdoodles have always been a favorite cookie of mine to bake. Probably because cinnamon is one of my mom’s favorite cookies. She could care less about Double Chocolate Toffee Cookies or Buttery, Thick and Chewy Chocolate Chip Cookies or Oatmeal Thumbprint Cookies with Cassis Jam. She’d much rather have plain-Jane sugar cookies or something with cinnamon. So, as she gave me carte blanche in the kitchen as a child, it mattered not to her that we were out of chocolate chips or rolled oats. If we had butter, sugar, flour, and cinnamon? All was well in the world. Snickerdoodles are pretty much IT in that category. I mean what other cookie requires so few ingredients yet packs such a punch of flavor? 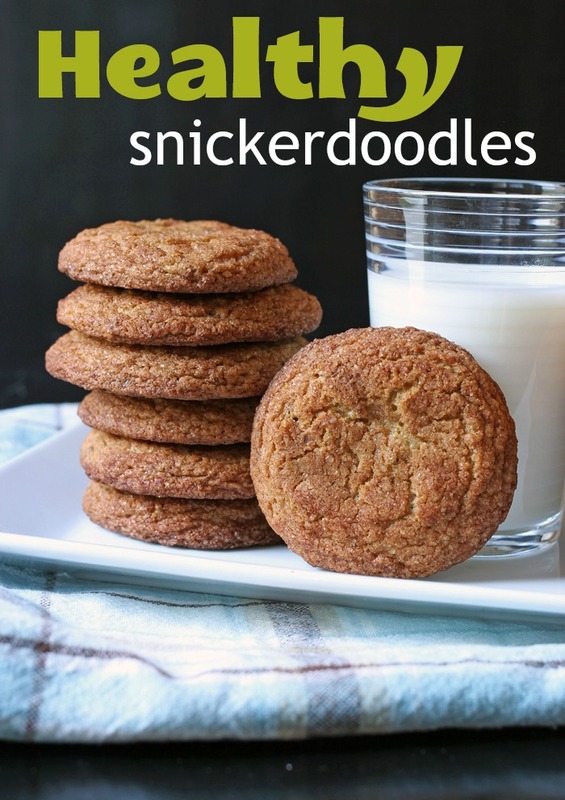 Healthy Snickerdoodles are just as addicting as the originals! In honor of my mother, here’s a slightly healthier version of the cinnamon sugar classic. 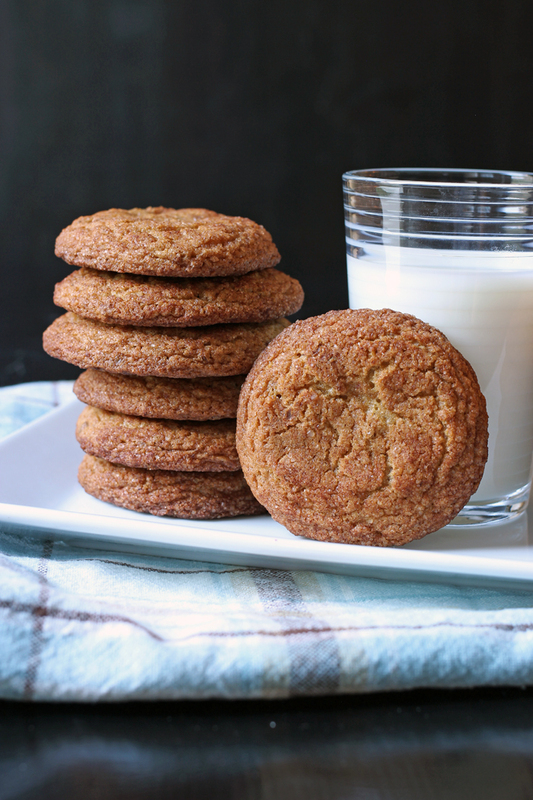 These Whole Wheat Snickerdoodles feature the obvious whole wheat — without tasting too wheaty! — as well as a little flax seed meal snuck in for good measure. They are just as addicting as traditional Snickerdoodles, with a little less guilt. Want to put out a dessert plate to please your favorite cinnamon-lover? Make these healthy snickerdoodles as well as my easy snickerdoodle Bars and a batch of Cinnamon Puffs. What a fun presentation! What does cream of tartar do to snickerdoodles? Cream of tartar is the essential ingredient that gives snickerdoodles their chewy and slightly tangy texture! Cream of tartar also reacts with the baking soda in the cookies. Cream of tartar is what changes a sugar cookie into a snickerdoodle. 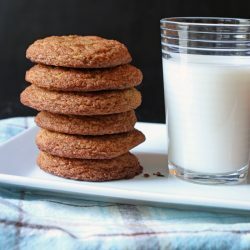 This Whole Wheat Snickerdoodles recipe really couldn’t be easier than it is, but having the right kitchen tools can really make your time in the kitchen more enjoyable. Over time, I’ve honed my collection so that they are perfect for my needs. parchment paper – I hate washing pans. Parchment paper makes clean up a breeze. Use office binder clips to secure the paper to the 9×13-inch pan until you get the batter spread. 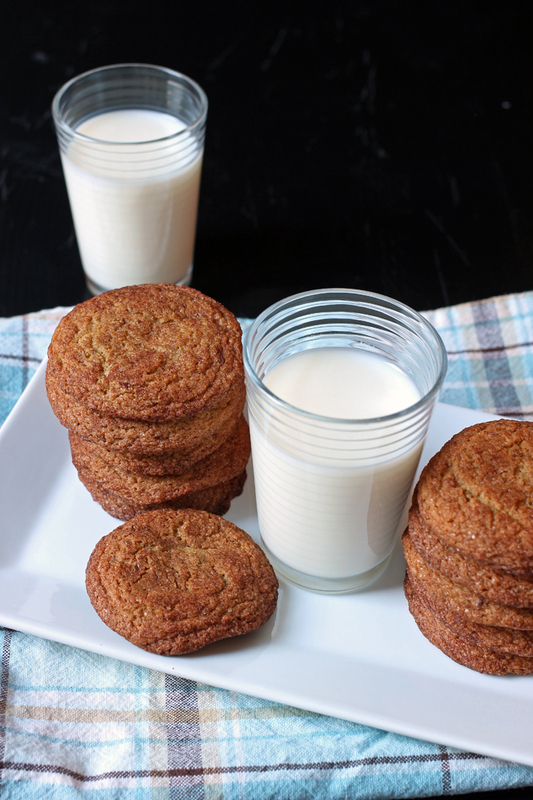 A healthier twist on an old classic, these healthy Snickerdoodles are delicious! A little whole grains and flax seed meal takes the classic cookie up a notch. They freeze beautifully so you can have a sweet treat any time the urge strikes. In a large mixing bowl, cream butter and sugar. Mix in eggs, one at a time. Stir in the flours, flax seed meal, cream of tartar, baking soda, 1/4 teaspoon cinnamon, and salt. Mix well and chill for about 1 hour. Meanwhile, in a small bowl prepare the Cinnamon Sugar. Combine the sugar and 2 teaspoons cinnamon. Roll the chilled dough into 1-inch balls. Roll the balls through the cinnamon sugar. Place the cinnamon-coated balls on the prepared baking sheets. Bake for 8-10 minutes. Cool on rack. Store the cookies in an airtight container at room temperature for up to a week or in the freezer for up to 2 months. Originally published August 14, 2009. Updated March 8, 2018. Would Whole Wheat Pastry Flour work as well? Do you need to flatten the cookies before baking ? No. They flatten as they bake. Is there anything that can replace the flax? You can just omit it. 🙂 It should still work fine. Needed a quick snack for my guys for this afternoon and remembered I wanted to try these. A little tricky telling if they are done, but otherwise baked up nicely. I can tell a bit of texture difference—but I guess that is to be expected. Otherwise they tasted just fine and were gobbled up by my tired and hungry crew after a big workout. We have been baking with more whole wheat lately. This is a perfect recipe to try out! I just pulled these out of the oven and ate 2! They are great! A nice change from the usual chocolate chip cookies we eat. The only thing I did differently was to use 1 cup of whole wheat flour and 1 1/2 cups spelt flour because I didn’t have white. I made these today and they are delicious! I ground up 1/4c of oatmeal in my mini food processor in place of the flax. Thank you for a great cookie to go with my coffee!! these were more delicious than the standard snickerdoodle recipe!! Yay! So glad you enjoyed them! Thanks for your feedback.